There was an international theme to Ivanhoe Runners last weekend. 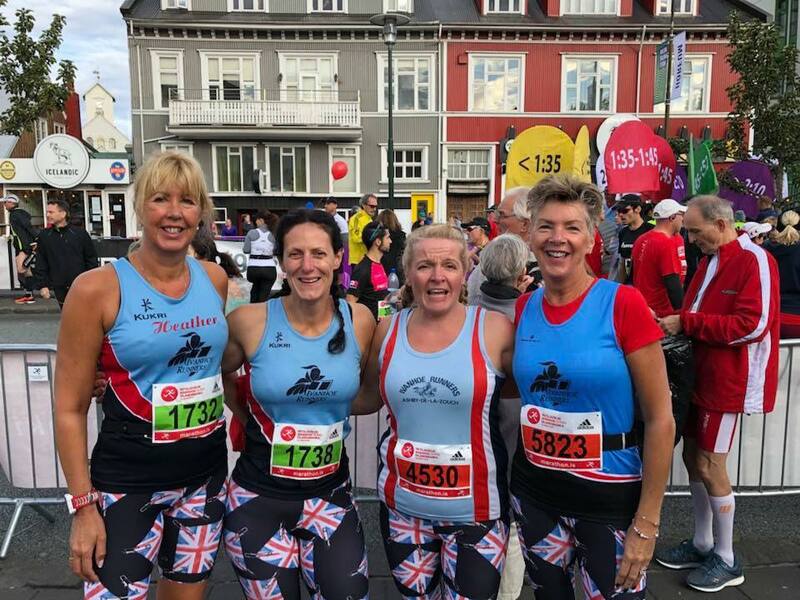 4 of our ladies travelled to Reykjavik for a very scenic marathon and half marathon. Heather Swan and Teresa Talbot both had a great race, finishing in 4h 24m and 4h 40m respectively. Amanda Bradbury and Laura Graves both opted for the half marathon, completing it in a very respectable 1h 55m. The weekend of sightseeing in Reykjavik after was well deserved. And if Wales counts as international, three Ivanhoe members took up the challenge of Race the Train. The event involves racing a steam train along 14 miles of footpaths and fields near the coast of North Wales and both Alistair Chambers and Ian Bolton succeeded, Alistair ran an excellent time of 1h 42m, with Ian close behind in 1h 44m. Andrea Trickett finished in a strong 2h 14m for the ladies.